Pesticides are natural or artificial chemicals used to kill or repel specific plant or animal pests. A pest is any organism that occurs in large number, and is noxious and destructive in nature. Insect pests and mites account for 15% loss of agricultural production by damaging the yield and quality of the harvested products. Pests’ invasion has resulted into a rise of insect-borne pathogens causing diseases among human beings and is destroying valuable vegetation. Climatic factors such as temperature humidity and droughts, are propelling the mitigation of pests and insects. Increasing pests’ infestation and poor management practices for controlling their invasion in commercial, industrial, livestock farms and residential sectors have led to an increased adoption of insect pest control products. The insect pest control products market was valued at 12,705.45 Mn in 2017 and is anticipated to reach US$ 16,901.80 Mn by 2022. 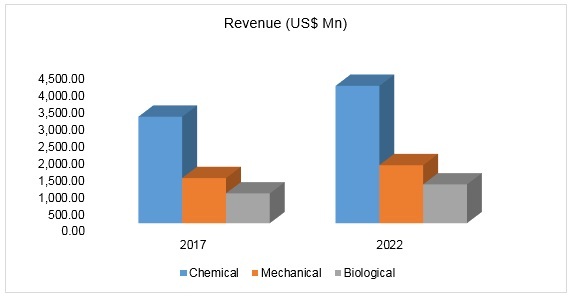 The growing awareness amongst manufacturing industries for quality control and invasion of advanced pest control methodologies are driving the growth for the insect pest control products market. Lack of regulatory permission from the government to use chemical products, is hampering the growth of the market. However, the rising need for using environment friendly products is aiding to the incorporation of herbal pest control products in the market and is estimated to show high growth rate in the future. Termite’s pest control products have generated the highest market share. They are the most harmful pests that have been reported to cause considerable problems in agriculture, forestry and housing. The fungus-growing termites largely affect agricultural productivity, thus incurring huge financial losses for farmers and retailers. Increase in research and development to produce effective termite control products is constraining it to generate the highest market share. The worsening climatic conditions will drive its growth in future. The chemical methods used to treat insects and pests have proved to be effective and delivers fast results as compared to other pest control methods for instance, mechanical and biological methods. This has resulted in an increasing demand in chemical pesticides, enabling it to generate the largest CAGR. 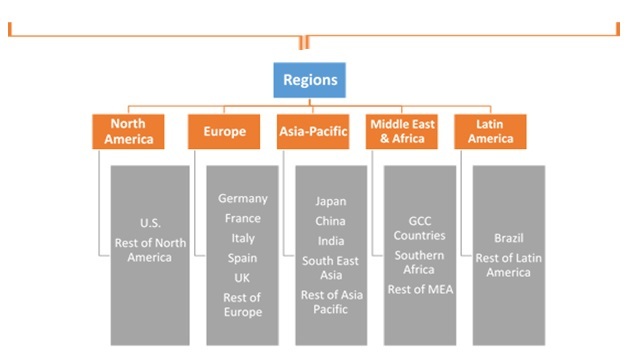 On the basis of geography, North America holds the largest market share amongst all the regions. Innovation and development in highly effective pesticides using advanced technologies and growing awareness for food safety and hygiene protocols, are the factors propelling the demand for pest control services in North America. 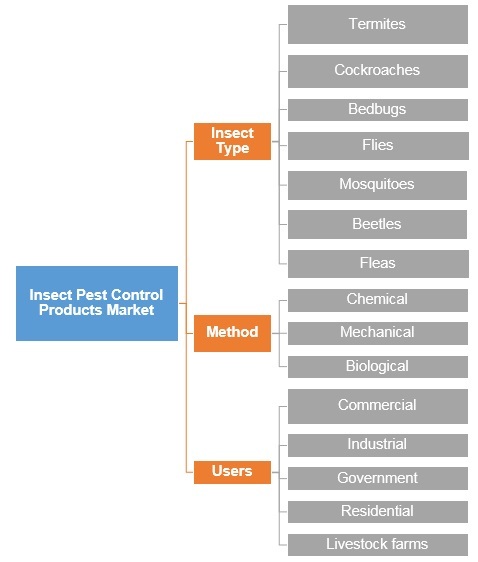 The insect pest control products market report provides both, qualitative and quantitative research of the market, as well as strategic insights along with developments that are being adopted by the key contenders. The report also offers extensive research on the key players in this market and detailed insights on the competitiveness of these players. The key business strategies such as mergers and acquisitions (M&A), affiliations, collaborations, and contracts adopted by the major players are also recognized and analyzed in the report. For each company, the report recognizes their headquarter, competitors, product type, application and specification, pricing, and gross margin. The primary market participants include Arrow Exterminators Inc., BASF SE, Bayer AG, Bell Laboratories Inc., Ecolab, Inc, FMC Corporation, McLaughlin Gormley King Company, Rentokil Initial plc. Rollins, Inc., Syngenta AG, and The Terminix International Company LP amongst others.